The Ciscaucasian hamster also known as the Mesocricetus raddei is a rodent species (family Cricetidae). 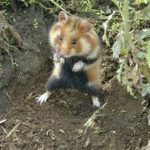 The hamster is also known as the Georgian hamster and is found in Georgia, Russia. The northern slopes of the Caucasus, Ciscaucasia and the regions between Dagestan, Don River and Sea of Azov have widespread distribution of these creatures. The population of these hamsters is significantly large in the plain habitats. In the mountains, however, the hamster population remains stable. 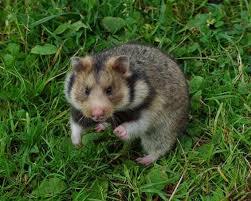 These hamsters are found in mountains as well as grassy steppes. They depend on pastures, cultivated land. Their natural habitat is usually in belts of trees, rough grass between the fields but they can be rarely found in dense woodlands. Scale of Domestication Taming the hamster can take approximately a week. 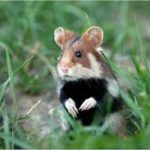 Ciscaucasian Hamsters that are found in the mountainous regions are larger in size as compared to the ones living in the plains. They can be about 28 cm or 11 inches in length having a short tail (1.5 cm or 0.59 inches long). They are yellowish brown in color with a creamy white throat, underparts, and a black ventral region. Having large and rounded ears, they also have two broad black stripes near their shoulder. Ciscaucasians are regarded as an agricultural pest that emerges at the dusk to feed on herbs and grasses in the spring and early summer. Dring the autumn months they like to feed on seeds, crops, and roots. These are considered as pests as they cause severe destruction to crops. They are aggressive, sexually active. 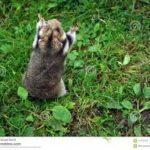 Glass or plastic cages are apt to keep these types of hamsters as pets. It is not recommended to use sawdust, cedar wood shavings as these are detrimental to the health of the hamsters. Shredded paper or hay can be considered as the best bedding material. Weekly cleansing of the hamster cage should be done to keep it hygienic by cleaning the Food bowl and drinking water bottles are other essential stuff that needs to be kept in the vicinity of the cage to feed the hamster from time to time. It is recommended to keep the cage away from direct sunlight. Loud music should not be played near the caged hamsters as that can adversely affect them. Abstain from using aerosol sprays near the cages. 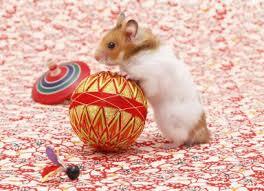 The hamsters are very active animals. To provide them exercising opportunities while in captivity, there should be an arrangement for toys like the wheel or a box filled with three-fourths full of shavings. What do Ciscaucasian hamsters eat? The hamsters are omnivore species and they require a balanced diet to stay healthy. Vegetables, fruits, sometimes meat and other edible items that have nutritional value constitute the diet for the species. Care needs to be taken to ensure that only balanced diet is given to the hamsters. It is also important not to offer excess amount of nuts as that can be harmful to that creature. Hamsters are prone to tumors, so adequate care needs to be taken in this regard. Are Ciscaucasian hamsters nice? They do not bite much as compared to its Russian Campbell counterpart. Are Ciscaucasian hamsters friendly? These are marvelous pets and are very friendly and sociable. Do Ciscaucasian hamsters smell? They do not have any body odor. Do Ciscaucasian hamsters get lonely? They prefer to stay on their own and do not get lonely. 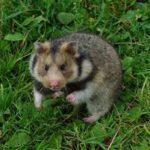 Do Ciscaucasian hamsters bite a lot? They are not very aggressive. Only females are aggressive after the birth of their pups. Do Ciscaucasian hamsters need dust baths? Yes, they need sand baths to be much more specific. Do Ciscaucasian hamsters like to be held? They love being held. Do Ciscaucasian hamsters shed? They shed only when their fur grows long or during the summers. Do Ciscaucasian hamsters get cold? Yes, they do get cold and suffer from severe bouts of various diseases. Do Ciscaucasian hamsters Hibernate? In extremely cold climates, they go into hibernation.